Times of Zambia | Lungu to FRA: Raise maize price! Lungu to FRA: Raise maize price! PRESIDENT Edgar Lungu has directed the Food Reserve Agency (FRA) to immediately make a further upward adjustment of the maize floor price from the K65 price tag for a 50kg bag of maize. President Lungu said the price was too low and should be hiked to empower farmers. “I read in the newspaper that FRA will be buying maize at K65 per 50 kg and when I called the Minister of Agriculture (Michael Katambo); he said that was the fairest they could arrive at. But I think that the price is too low and we shall increase it to empower the farmer because there would be no food without the farmer,” the president said. Mr Lungu was speaking in Chipangali yesterday when he addressed a political rally support for Million Tembo, the Chipangali Patriotic Front (PF) candidate in the forthcoming council chairperson elections. The president said the move would also favour millers and commodity consumers as no one in the supply chain would feel exploited by the other. “We must strike a balance between the cost of production and market price so that we don’t hurt the consumer. So, I want to assure the nation that we’ll revisit the price of maize to benefit everyone,” he said. forming a government of national unity with politicians who did not mean well for the country but wanted to ascend to power through dubious means. 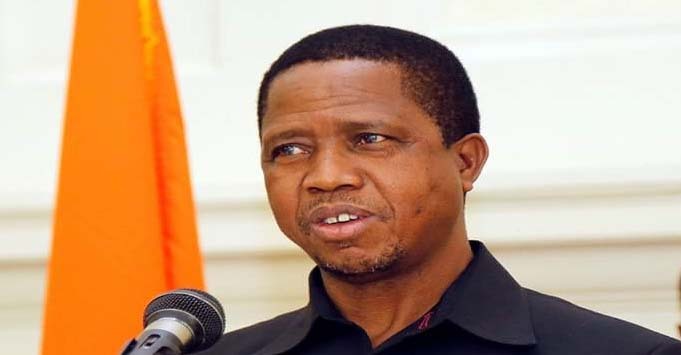 President Lungu said he was aware that some opposition politicians were deliberately fueling political violence as a means of pushing for dialogue with him. Mr Lungu said dialogue was only relevant to contentious issues such as constitutional and electoral reforms and the application of the Public Order Act (POA). “The rules of the game in Zambia is that one can only be President if they amass 50 percent plus-one of the majority vote and that’s what happened in 2016 when I won. So there is no room for an early election; they must wait for their time in 2021,” he said. President Lungu said he was confident of retaining the Republican presidency in 2021, as he was working hard to develop the country. The President said it was surprising for the opposition to insinuate that he and the Government had failed to develop the country, yet tangible developmental programmes were visible to all Zambians. He said it was also baffling that the while the opposition was scorning Government’s objectives for the creation of new districts, it was contesting district elections. “We created nine districts in Western Province and since then the province has witnessed rapid development. Where there is a will, there’s a way and as a Government we will find money to develop the new districts because we’re determined to develop the whole country,” Mr Lungu said. President Lungu urged Mr Tembo to serve the people of Chipangali diligently so that the party’s vision for the area was realised. Mr Tembo assured the electorate that he would be equal to the task as as a queue of PF officials took turns pumping up the crowd for him. Meanwhile, President Lungu, who concluded his three-day working visit to the province yesterday, told journalists prior departure from Chipata Airport that his tour of duty had been successful.